An employee of RUDN and his Brazilian colleagues questioned the concept of using stable wormholes as portals to various points in space-time. The results of their research were published in Physical Review D. Wormholes – a rather beaten cliche in science fiction. 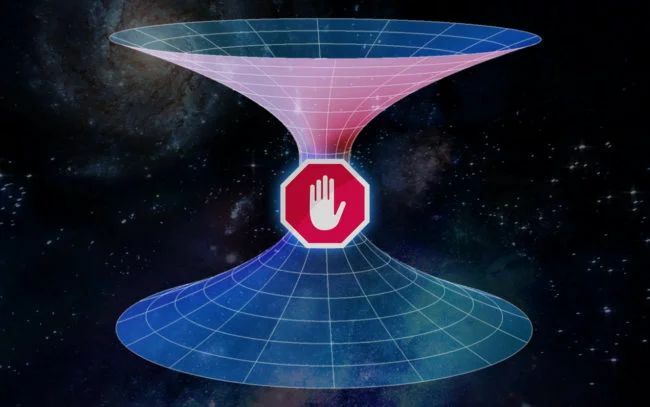 A wormhole, or “mole hole”, is a kind of tunnel connecting distant points in space or even two universes, through the curvature of space-time. Theoretically, such a tunnel could lead from one point of space to another, bypassing the actual overcoming of the distance between them. Roman Hemp, a physicist at RUDN, appreciated the possibility of such interstellar travel. “Our hope for the existence of these exotic objects is based on the fact that the Einstein equations allow wormholes to be their solution. However, in order to get through the wormhole and so that it does not collapse due to the gravitational effect, the force pushing the wormhole in a narrow place must be extremely high, ”says Roman Hemp. Usually, theoretical physicists offer two options for the repulsive force: the concentration of dark energy or vacuum fluctuations of quantum fields in a narrow place. Both solutions are rather unusual and require a certain degree of imagination and optimism for further development. In 2011, Greek and German scientists discovered that pushing away force can be explained without introducing new fields or unusual types of matter. According to their calculations, repulsion is possible to obtain as a result of quantum corrections of Einstein’s theory, motivated by string theory in the low-energy approximation (the so-called Einstein-Gauss-Bonnet theory with a dilaton). If the wormhole turns out to be resistant to insignificant temporal and spatial oscillations, this will be a promising theoretical model based on the fundamental string theory. “Some preliminary studies by foreign colleagues seem to indicate the possibility of such stability. However, we confirmed that the wormhole, in accordance with Einstein’s quantum-corrected theory, is critically unstable. It is obvious that such an unstable system cannot exist in nature, since any reaction with the environment will lead to its destruction. Unfortunately, mathematical calculations show that we still do not have a theoretically consistent model of a wormhole without exotic assumptions, ”says Cannabis.